This June we are sending a team of 10-12 to San Diego to spend a week serving with Kaleo Missions. 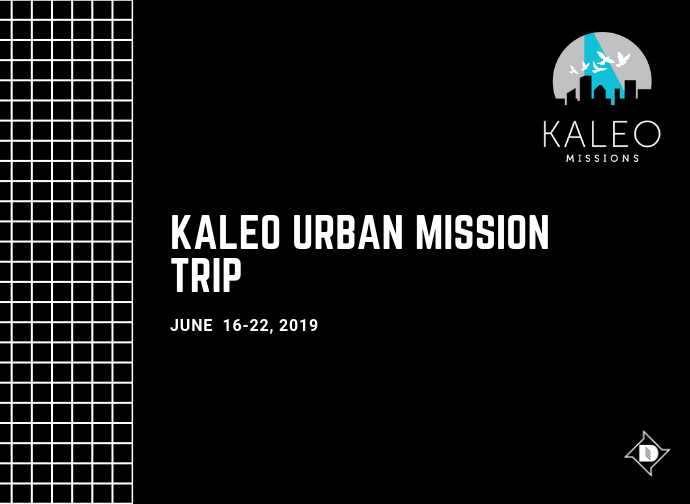 Kaleo Missions is a gospel-centered organization seeking to care for the poor and marginalized in the urban centers of our nation and share the good news of Jesus. Kaleo strategically plants long term staff in some of the largest cities in the country to build relationships with and serve refugees, immigrants, and the homeless, and mobilizes small church groups to serve and share the love of Christ with these populations. With the goal of equipping the church to care for the most vulnerable wherever they live and serve, Kaleo’s short term missions trips include learning activities focused on looking at issues facing our world and our cities today through the lens of the Gospel. We believe that this is an opportunity to share God’s love and learn skills to reach people where they are to make disciples who make disciples, and we want you to join us! Download the application for the trip HERE.